Best deals for a boat or sailboat rental in Oxnard, CA! Welcome to Oxnard, CA - a popular boating destination, with many attractions that will make your visit a long-lasting happy memory! Hop aboard one of our yacht rentals in Oxnard and plan for a day trip to enjoy over 20 miles of scenic coastline and fantastic beaches. If you are looking for a fun family day on the water, pick a Sailo boat rental in Oxnard and make sure to ask your captain to include the most popular whale watching spots in your itinerary. Planning for a romantic sunset cruise to surprise your special one? Browse our top selection of yacht rentals or choose a beautiful sailboat rental in Oxnard and get ready to take in the breathtaking views. Our local team also recommends a full day trip on sailboat rental in Oxnard to explore The Channel Islands National Park and Channel Islands National Marine Sanctuary. For a longer adventure on the water, a Sailo boat rental in Oxnard is ideal for a trip from the charming Channel Islands Harbor to Anacapa island. Drop anchor offshore and hop on kayaks to explore along the shoreline of the island. If you are lucky, you might meet with some playful sea lions, seals, dolphins! 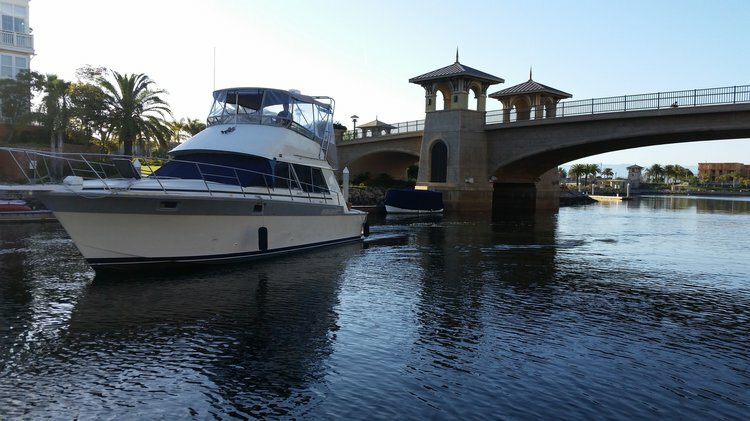 If you would like to discuss details or ask questions before deciding which of our yacht rentals in Oxnard you’ll take for a ride, do not hesitate to send a message directly to the boat representative or start a conversation with us on live chat. Sailo concierge team is always here to make sure your experience on a boat rental in Oxnard will be nothing less than extraordinary!